One of my favorite things about the holidays is the food. 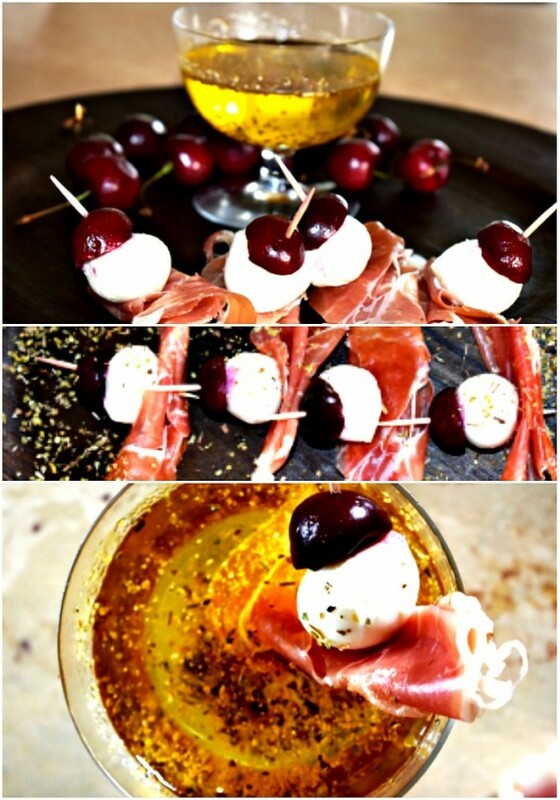 I especially like to make and try new appetizers. Valentine’s Day appetizers are especially fun because they’re usually easy. I’ve been known to make a meal out of appetizers, too. 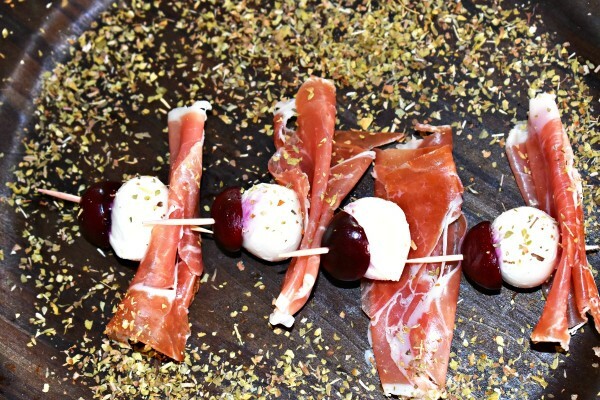 They’re fun to make and more fun to eat… like these Prosciutto Cherry Bites. 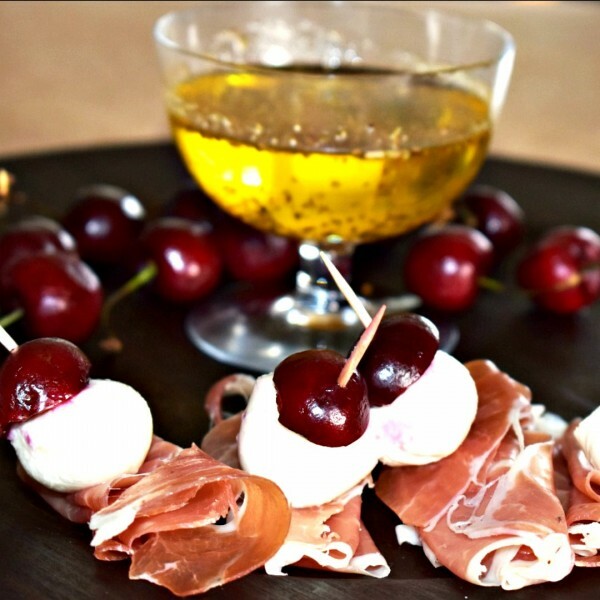 If you like cherries, prosciutto, and mozzarella cheese, you will LOVE this appetizer. The combination of flavors are heavenly. 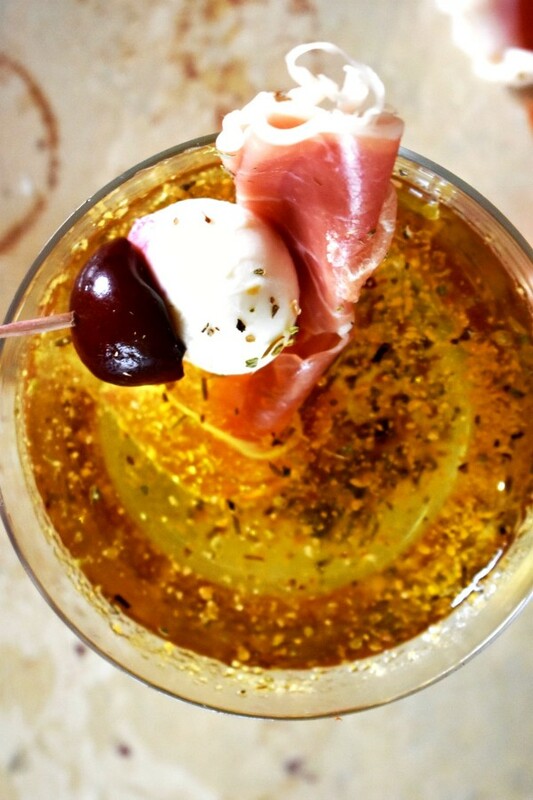 Your sweetheart will love this Valentine’s Day appetizers. They’re also the perfect party appetizers. It’s an easy recipe to make and your guests will be singing your praises. Pit cherries. This cherry pitter is cheap and easy to use. Gently gather one slice of prosciutto. Top tooth pick with cherry. Optional, dust lightly with ½ teaspoon of oregano. Repeat method until desired amount is reached. In a small bowl pour ½ cup of olive oil in bowl. Add ½ table spoon of oregano and parmesan. As you can see, this appetizer calls for few ingredients, easy to find, and easy to make. 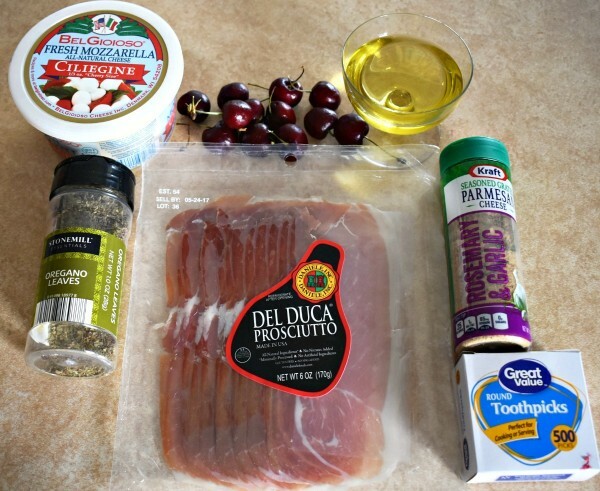 Whether you’re looking for appetizers for Valentine’s Day, New Year’s Eve, the big game (like the Super Bowl Sunday or the Sweet Sixteen), Thanksgiving, Christmas, or a summer BBQ or picnic, these prosciutto cherry bites will be a big hit! All I know is, easy appetizers for any occasion is okay in my book. Besides, I think cherries are just great for Valentine’s Day recipes. Here’s my homemade chocolate covered cherries, I call Homemade Cherry Bombs, a perfect Valentine’s Day dessert. What’s your favorite Valentine’s Day appetizer? Never tried prosciutto. Looks like thin bacon. But the appetizer looks great. This is great. I love reading good recipe articles. This looks so yummy and something I can make for Valentine’s Day! Thank you for sharing. This sounds great for valentine’s day. We may have to try this on out. Thank you for sharing the recipe , these look yummie! I’ll have to try and make them myself. Ilove proscuitto. this is a great appetizer for Valentines Day! Love this, great for any special occasion. These sound delicious, definitely going to try them. Have a great Valentines Day! Have never tried it, but this looks very good! Will have to try ot out. This is an interesting recipe. Thanks for posting! OH my!! These look divine! What an interesting mix!